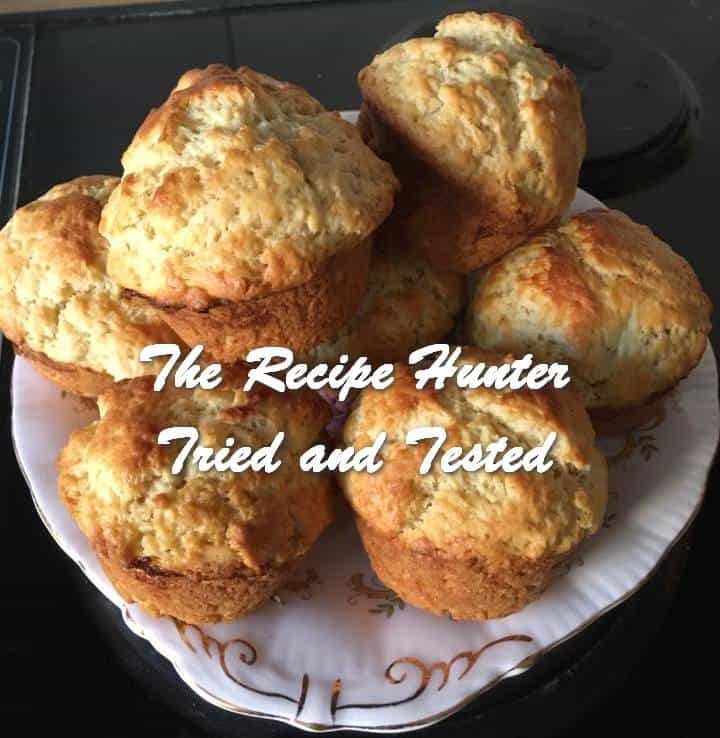 These scones were quick and easy to make, plus they’re REALLY tasty! Preheat oven to 200C and spray your Muffin tin well with Cook & Bake or whatever baking non-stick spray you may have. Pour premix into a large bowl. In another dish, lightly beat your eggs, oil and milk, reserving a little for the brushing on top. Add the above to your premix and make sure it is all properly mixed well together. Drop large spoonfuls into your muffin tin – I like to fill to the top. Generally I only get out approximately 9. All this depends on how big you want your scones. Place in pre-heated oven for 10-15 mins (mine baked for 15 mins). Turn out onto a cooling rack, make tea, get out your jam, butter and cheese.